A diamond is the hardest mineral on earth and it is considered an ultimate gem because it only has a few weaknesses and an abundant supply of strength. No wonder it's popularly used in jewelries and they are considered a girl's best friend. 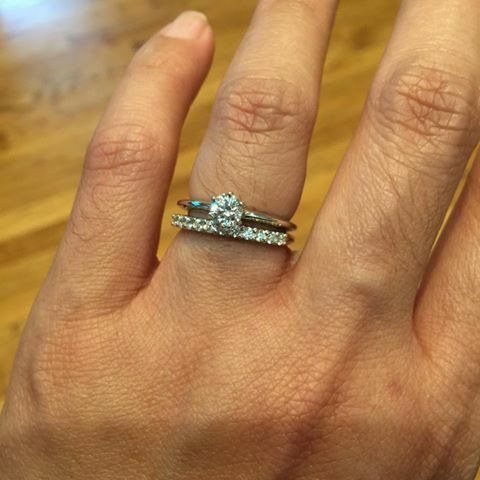 I love diamonds and I was very excited when I was invited to review a beautiful bridal set from Anjolee. 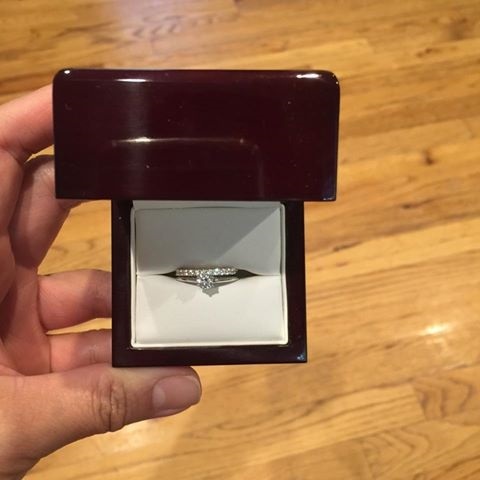 I chose the Diamond Solitaire Studded Band Bridal Set and I received the set of Silver and Cubic Zirconia via UPS. 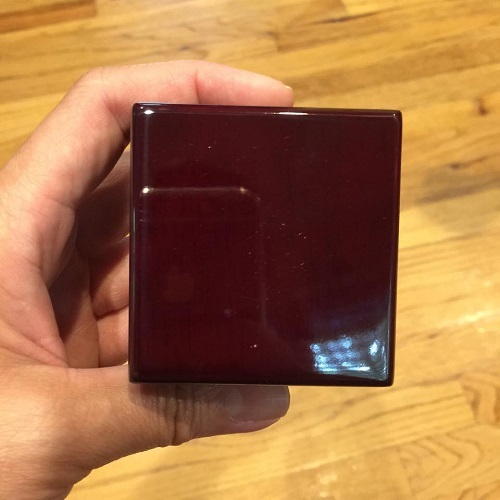 It comes in a simple, beautiful burgundy box and as you can see in the lower photo, the set of two rings is sitting prettily inside. The stones are cut without flaws and they are shiny like real diamonds. The silver bands are also flawless. I asked for a size 7 and that's exactly what I got. The style is very simple, yet it is elegant. I can wear them everyday without looking too flashy. 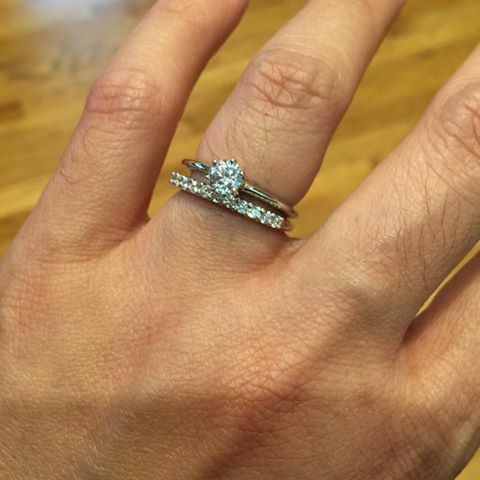 If you are looking to buy a ring, I would suggest you get a bridal set. This ensures you get a perfect fit for both rings. Anjolee offers a lot of styles and designs and you can opt for real diamonds or other gemstones; you can also choose the type of metal you want. What I love about the website is you can get a bridal set depending on your budget. Oh, but they don't only offer bridal jewelry sets. If you make a click stop there, you will see that they also have gorgeous diamond necklaces, earrings and bracelets. 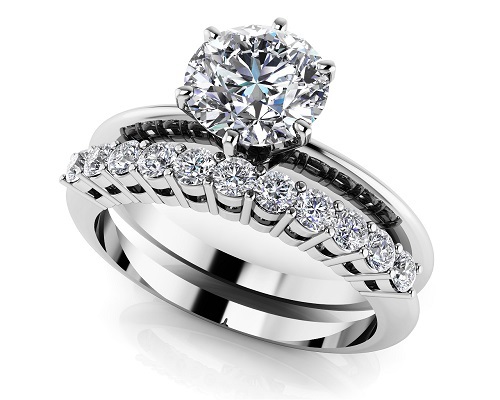 You can purchase the Diamond Solitaire Studded Band Bridal Set through the Anjolee website. 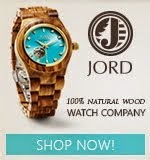 Shipping and gift packaging is FREE on all orders, and they have a 30-day return policy. Disclosure: I received a sample of this product free of charge for the purpose of this review. All opinions expressed here are 100% my own and was in no way influenced by anyone or the brand.